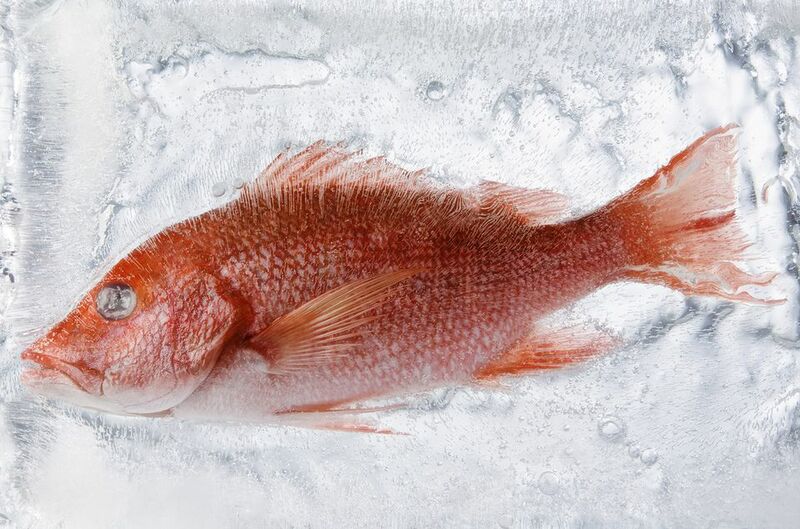 If you have some fish that you thawed but never got around to cooking or a bunch of leftovers after a big meal or get-together, you might be wondering if it's safe to refreeze them to cook or reheat later. You don't want to waste food, but you also don't want to make any food-handling missteps when seafood is involved. Yes, cooked or uncooked fish that has been thawed in the refrigerator can safely be frozen and refrozen. But there are some caveats: To preserve freshness, refreeze your fish within a few days of thawing and don't refreeze anything that's been left out for more than two hours, or one hour if the temperature is above 90 degrees Fahrenheit. You probably won't have any problems with that rule if you're looking to refreeze tonight's dinner, but if you served fish at a party, you should only refreeze the leftovers if you're certain you meet these time limits. Of course, you shouldn't eat the leftover fish at all if you think you've exceeded these time limits. While fish is expensive, and it can be painful to throw it away, you don't want to put yourself (or anyone else in your household) at risk for food poisoning. Always err on the side of caution when it comes to food. The USDA developed these guidelines for a reason. Fish that is packaged correctly can last up to 8 months in a freezer. With a little care, you'll be a lot happier with the quality when you pull it out later. Air is enemy No. 1 of frozen foods. It's what causes things to develop freezer burn. So wrap your fish in freezer paper or a freezer bag. The thick layer will help to keep air out. If you use a freezer bag, squeezing the excess air out of the bag before you seal the top can also go a long way toward preventing freezer burn. Freezing food preserves it in its current state, but it doesn't turn back the clock. So if your fish sat in the fridge for a few days before you decided to refreeze it, you need to try to use it as soon after re-thawing it as possible. Have a plan for your fish before you pull it back out of the freezer so you'll be ready to put it to use as soon as it's thawed out. Note: Refrozen fish might be slightly drier than usual. This is due to the second thawing cycle.